lil chung's lil adventures: Welcome to KC! 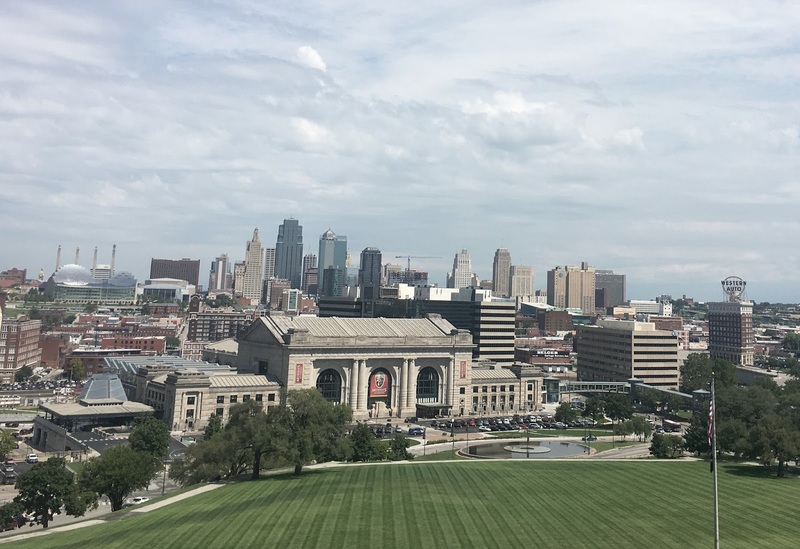 Although I moved to Kansas City in early July, I left after only a few days to head up to Chicago for a month. So now it feels more official that I'm settled in my new apartment and city. 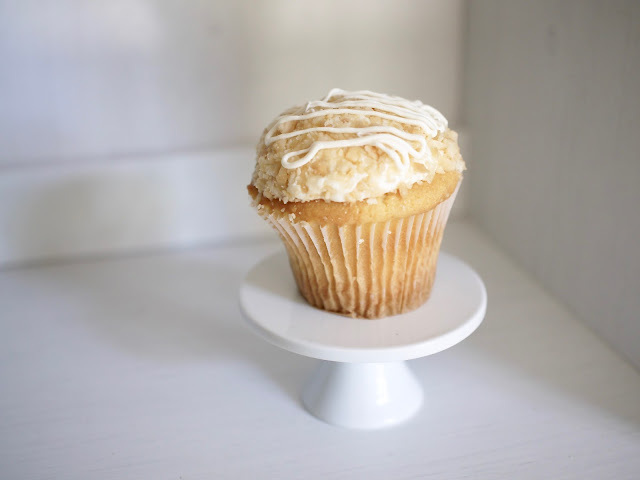 I couldn't think of a better way to explore my new home than to grab a cupcake at a local cupcakery. Luckily, there was one in the neighborhood where I was running errands. Located in the fancy shopping district Country Club Plaza (or simply the Plaza), Cupcake A La Mode has been selling Kansas City cupcakes since 2009. The bakery had about 20 flavors available and they were either on a vanilla or chocolate cupcake. Peanut Butter and Jelly caught my eye but I opted for their vanilla flavor of the month: Hawaiian Honeymoon- a vanilla cake topped with pineapple buttercream, crushed macadamia nuts and a white chocolate drizzle. Each cupcake is $3.50. The cupcake had a fluffy, flavorful cake but it was topped with a tad too sweet frosting, which was exacerbated by the abundance of it. The macadamia nuts added a nice, salty punch. It was almost pretty good but could have been better with about half the amount of frosting.